Coffeeshop Abraxas is a beautiful coffeeshop with a colorful, handmade interior. This coffeeshop has a unique look and there is a relaxed atmosphere. That is why this coffeeshop has been a favorite for both tourists (who have been able to find it) and Amsterdammers for years. As soon as you walk into the coffeeshop and hear the nice, relaxed music, you immediately understand why Abraxas is so popular. The nice thing about this is that, unlike many other coffeeshops in Amsterdam, there are many different types of people. Abraxas has a positive, creative vibe and a wide range of high quality weed and hash. The staff is experienced as very friendly by almost all visitors and the coffee and brownies are also very tasty. The disadvantage of all the above positive points is that it is certainly busy at weekends and during rush hours, and it can be difficult to get a seat. 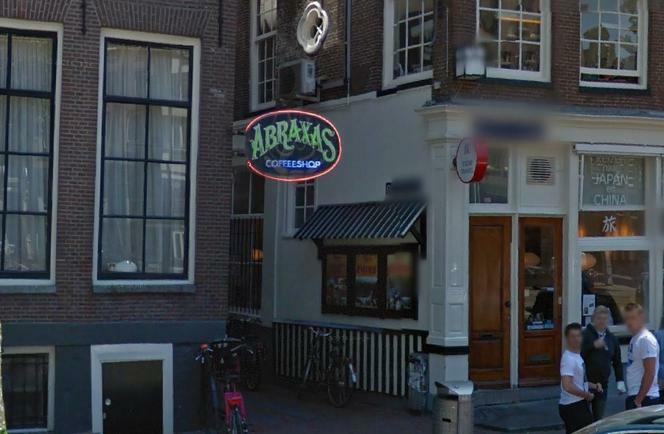 Our advice: if you are in Amsterdam, the Abraxas is definitely a shop where you have to go! Try to avoid the crowds and try a brownie. Enjoy! Fijne coffeeshop waar je lekker kan zitten met een bakje koffie. Gezellig personeel en fijne sfeer. Hele goede service, echt een fijne coffeeshop. Tot laat open en altijd een vriendelijke sfeer. Ik kom hier graag.